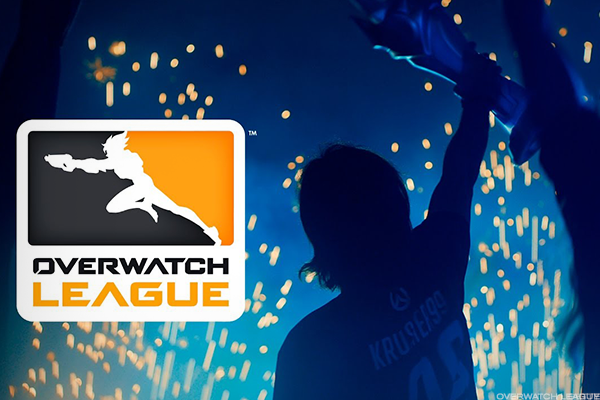 Activision Blizzard Inc. (ATVI - Get Report) has officially announced the owners of the first seven teams for its anticipated international Overwatch League. The eSports league, which is "on schedule" to begin later this year, is the first major global professional eSports league with city-based teams, the league's commissioner, Nate Nanzer told TheStreet. The new franchise owners include leaders from China, South Korea and the United States already invested in eSports as well as newcomers to the nearly $700-million industry, Kraft Group LLC CEO and New England Patriots owner Robert Kraft and New York Mets chief operating officer Jeff Wilpon. "We looked at cities with big markets not just in terms of population but concentration of Overwatch players," Nanzer told TheStreet on Wednesday. "We looked at who could be the best owners and operators of those markets. The owners we have selected have a proven capability of growing and fostering a fan base." Nanzer said the seven teams are only the beginning, however, and that the league is in "active discussions" with several other interested parties. Announcements of other league participants will come closer to the league's starting date. Sources told ESPN, which broke the news about the franchises, that the buy-in price for Los Angeles-based Immortals and San Francisco-based NRG Esports, two professional eSports teams, was $20 million each to be paid over time. Nanzer said he could not comment on buy-in prices at this time. The league also announced it will distribute global revenue from advertising, ticketing and broadcast rights to the teams equally. Teams will keep local revenue generated at their home venues up to a certain amount, a decision unprecedented in esports, Nanzer said. A percentage of revenue more than that threshold will go into a shared revenue pool with 50% of income from league-affiliated fan item sales. Teams also can operate and earn money by holding up to five amateur events in their home territory every year. "We thought it was incredibly important to build a league where our owners and our players share in the value of the league," Nanzer said. "Traditional sports create content to form an audience and monetize that audience. We're doing the same, building content and monetizing that like in traditional sports." Up until now, Blizzard Entertainment has kept fairly quiet about the details of the league for Overwatch, a team-based multiplayer online first-person shooter video game that Blizzard designed for competition. "The Overwatch League will celebrate and reward our most accomplished players and give fans more opportunities to engage with each other," Activision Blizzard CEO Bobby Kotick said in the news release. "We're excited to be working with leaders from eSports and traditional sports to celebrate our players and to establish the Overwatch League." Wednesday's news comes after at least six professional eSports organizations disbanded their Overwatch roster, citing concerns over decreasing viewership, few opportunities to compete and a lack of news about the league, Slingshot reported. Overwatch has more than 30 million players worldwide. Nanzer said the league was looking for endemic eSports teams that have the capabilities to grow a large local fan base in their affiliated cities. He pointed to opportunities such as Blizzard's Overwatch Contenders Series, the development league for aspiring Overwatch League professionals. 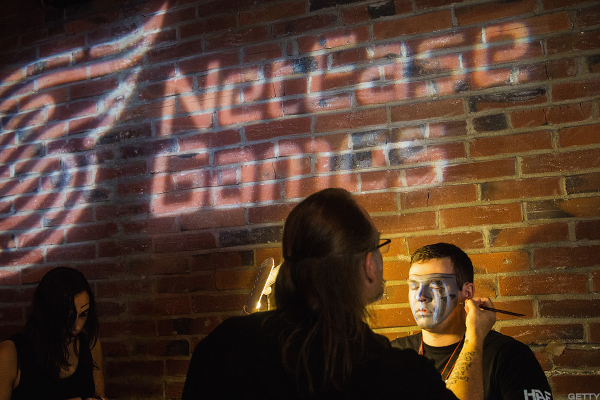 "ESports in its growth has been very grassroots and organic," Nanzer said. "The teams that have disbanded are less like professional teams and more like...clubs. We think it's really important to use teams at all levels, so we have the Contenders Series, and we hope that many of those teams will compete in that competition." The league will not have a formal draft, Nanzer said, but an announcement coming soon will detail how player selection will work. In addition, more information on regulations concerning player movement and minimum salaries is in the works. Although the teams are global, the league will hold all first-season matches at a Los Angeles-area esports arena to provide time for teams to develop their home venues. Matches will occur on every Thursday, Friday and Saturday, though a full schedule is yet to be released. "Overwatch is a game about a diverse group of international heroes who fight for an optimistic vision of the future, and the Overwatch League is an extension of that spirit," Mike Morhaime, CEO and co-founder of Blizzard Entertainment, said in the statement. "We're building this league for fans - esports fans, traditional sports fans, gaming fans - and we're thrilled to have individuals and organizations who are as passionate about professional competition as we are, and who have extensive experience in all three fields, representing our first major international cities in the league." In 2016, 285 million people worldwide watched esports, according to video-game research company NewZoo, which estimates the industry will generate $1.5 billion in revenue by 2020. The esports audience also includes some of the hardest to reach and most sought after demographics, with millennials tuning in at rates two to three times higher than baseball, basketball, football and hockey. Here are the seven Overwatch League team owners. 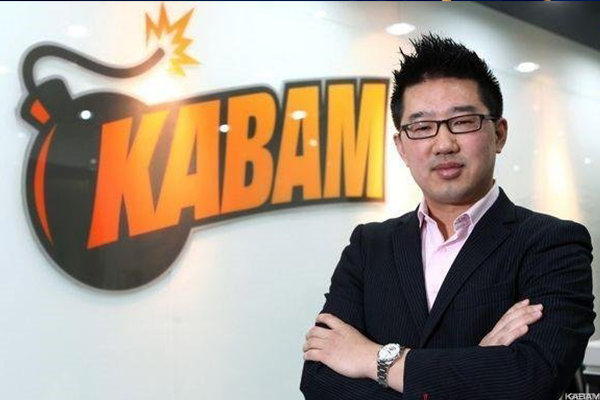 Kevin Chou is the co-founder of privately held Vancouver, British Columbia-based Kabam Inc., an interactive entertainment company that publishes massively multiplayer social games for mobile devices, including Marvel: Contest of Champions. Chou's team will be based in Seoul, South Korea. "As esports enthusiasts, we've always seen Seoul as the place to be for world-class competitive gaming," Chou said in a statement. "We're very honored to represent the birthplace of esports as owners of the Overwatch League team in Seoul and excited to work closely with the most passionate and enthusiastic gaming community in the world." Robert Kraft is the chairman and CEO of the privately held Foxborough, Massachusetts-based Kraft Group. He also owns the New England Patriots football teams. 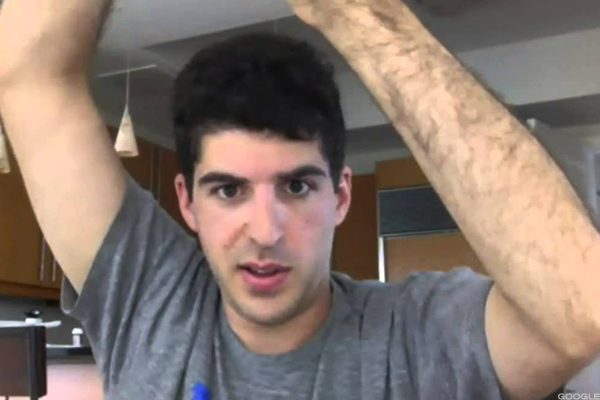 His Overwatch team will be based in Boston. 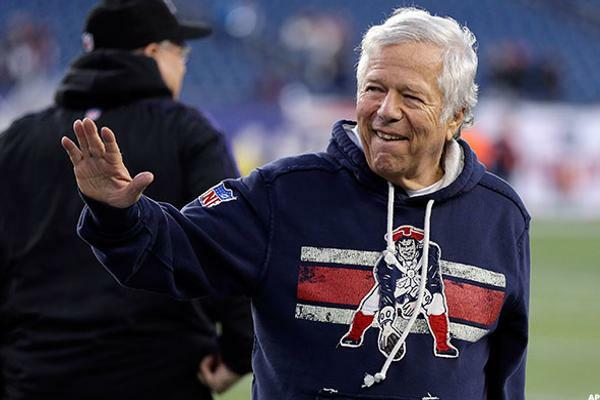 "We have been exploring the esports market for a number of years and have been waiting for the right opportunity to enter," Kraft said in the release. "The incredible global success of Overwatch since its launch, coupled with the League's meticulous focus on a structure and strategy that clearly represents the future of esports made this the obvious entry point for the Kraft Group." Andy Miller is the chairman and founder of NRG Esports, a professional esports team with rosters for Counter Strike: Global Offensive, Ubisoft Entertainment SA's (UBSFY For Honor, Hearthstone, Psyonix Inc.'s Rocket League, High-Rez Studios Inc.'s Smite, Super Smash Bros., and Vainglory. Miller's Overwatch team will cover San Francisco. "NRG Esports couldn't be more honored to represent San Francisco and all of Northern California for the launch of the Overwatch League," Miller said in a statement. 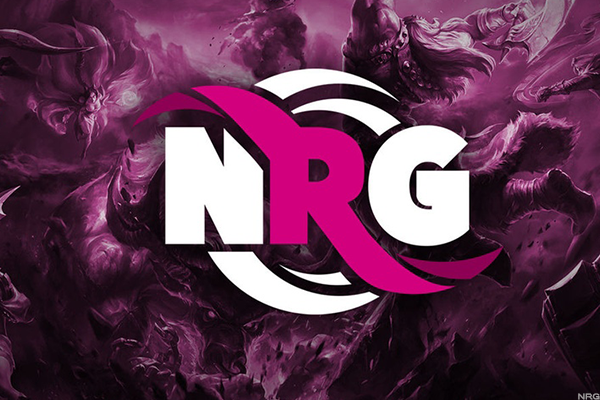 "As big believers in Overwatch, NRG has fielded one of the most popular teams in the world since the game's release and can't wait to bring a hometown team to the Bay Area." NetEase Inc. (NTES - Get Report) is a PC and mobile games developer based in Beijing, China. NetEase is also Blizzard's distributor and server operator in China, including of Overwatch. The company operates advertising services, email services and e-commerce platforms in the country, as well. Its Overwatch team will be based in Shanghai, China. "We're passionate about gaming at NetEase, and the Overwatch League is an opportunity we didn't want to miss" NetEase CEO William Ding said in a statement. "The commitment of Overwatch's players and fan community is an incredible foundation on which to build a successful global league, and we're looking forward to building a world-class team for Shanghai that inspires fans everywhere." Ben Spoont is the CEO and co-founder of the Miami Heat basketball team-backed Misfits Gaming, a professional esports team. Misfits also competes in Counter Strike: Global Offensive, Blizzard's Hearthstone, League of Legends and Super Smash Bros. Spoont's Overwatch territory will cover the Miami and Orlando-area in Florida. "Misfits Gaming is thrilled to join the Overwatch League and represent the great cities of Miami and Orlando," Spoont said in a statement. "Competing as part of a major city-based esports league is something we've always wanted to do, and together with our partner the Miami Heat we're very excited by the potential to build something amazing for our fans in the months and years ahead. This is going to be a great experience for teams and everyone who loves esports." 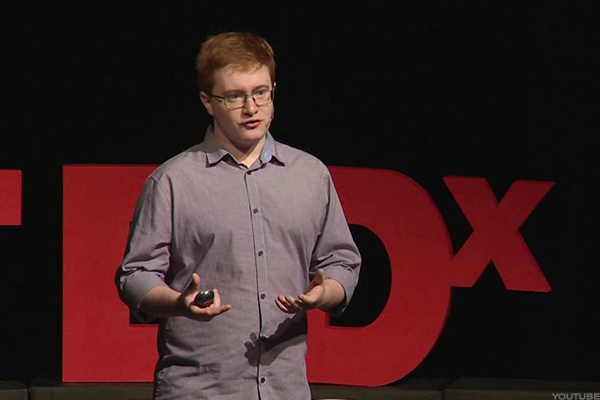 Noah Whinston is the CEO of Immortals, a professional esports team. Immortals also competes in Valve Corp.'s Counter Strike: Global Offensive, League of Legends from Tencent Holdings Ltd.'s (TCEHY Riot Games, Nintendo Co. Ltd.'s (NTDOY Super Smash Bros. and Super Evil Megacorp's Vainglory. Immortals is based in Los Angeles. "Immortals has been eagerly anticipating the launch of the Overwatch League since the plans were unveiled," Whinston said in a statement. "With our shared values and vision for the future of esports, we're honored to be selected as one of the initial members of this global league. Alongside our partners at [Anschutz Entertainment Group], we're excited to pioneer esports regionality as an inaugural franchise and to continue L.A.'s championship tradition." 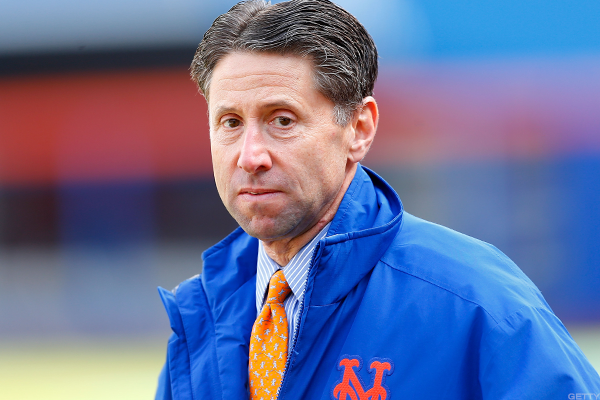 Jeff Wilpon is the co-founder and a partner of Sterling.VC, a sports, esports, media and real estate venture-capital fund supported by the private equity firm Sterling Equities Inc. Wilpon is also the COO of the New York City Mets baseball team. His esports team will also be based in the city. "It's an honor to be selected as one of the ownership groups in the inaugural season of its new league," Wilpson said in a statement. "We view our participation in the Overwatch League as a major opportunity to take a lead position where technology is converging with sports and media. This partnership with the Overwatch League and with some of the elite ownership groups in professional sports, offers a unique opportunity to connect with millions of dedicated fans, engaged and passionate about one of the world's fastest growing sports, and to continue proudly representing New York."